Whitening, also known as bleaching, is the procedure used to brighten teeth. 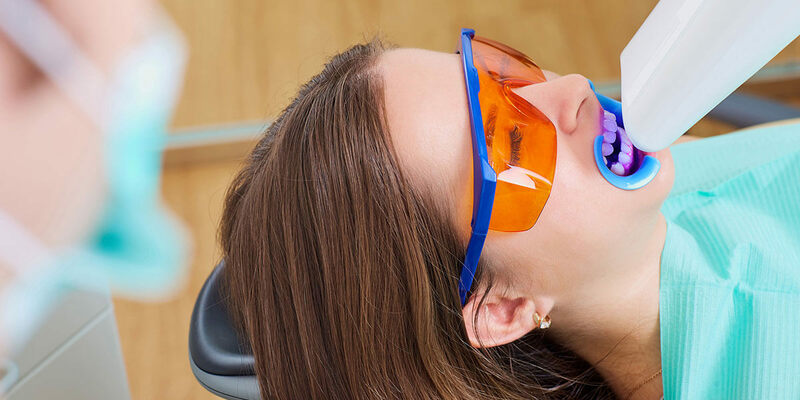 ZOOM!® in-office whitening treatment uses a laser to facilitate the whitening process and allows your doctor to customize aspects of the treatment to each individual patient’s needs to provide the best possible results. The most common side effect is tooth and gum sensitivity. Speak with your dentist to find out whether teeth whitening is an appropriate treatment for you and to also ensure that you use the correct concentration of whitening formula to provide the best results with the least possible side effects.